The Steve Patterson Award for Excellence in Sports Philanthropy G.I.V.E. H.O.P.E. 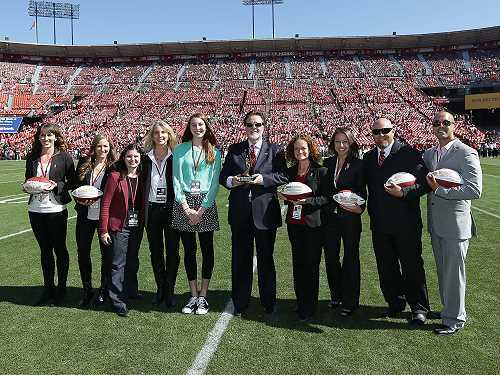 Carlette and Makena Patterson present the Steve Patterson Award for Excellence in Sports Philanthropy to the San Francisco 49ers- John York- Co-Chairman; Joanne Pasternack- Director, Community Relations and their Community Relations Team; Alisha Greenberg- Patterson Award. "The Robert Wood Johnson Foundation and The Steve Patterson Award embody what we strive for at the 49ers Foundation, and that's to improve our community by using sports as a platform to connect with other things that make the Bay Area a better place," said John York, chairman of the 49ers Foundation and co-chairman of the 49ers. "To be recognized for the difference we make in the community, through the interactions and connections of our players, coaches, family and fans, is truly an honor." 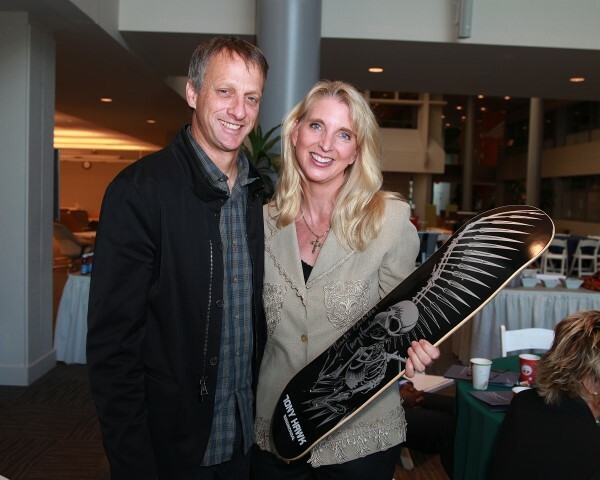 The Tony Hawk Foundation is the ONLY national organization focused solely on empowering at-risk youth and improving disadvantaged communities through the development of public skateboard parks. The Foundation's work has been a driving force in overcoming negative stereotypes associated with the sport in which youth skateboarders are at times banned, fined and criminalized for practicing the sport they love. Since 2002, THF has implemented youth development and leadership training, resulting in the creation of 537 public skateparks in all 50 states. These skateparks collectively service more than 4.6-million youth annually and represent $91-million dollars in leveraged parks-and-recreation community improvements across the U.S. In sports philanthropy, the LA84 Foundation is unique. The Foundation is the legacy of the 1984 Los Angeles Olympic Games. There is no other organization like it that has been created from the Olympic Games, the largest multi-sport event in the world held every four years. Through their grant making and programming, they have reached approximately three million youngsters, fostering the growth of youth sports by providing grants to more than 1,100 individual organizations. 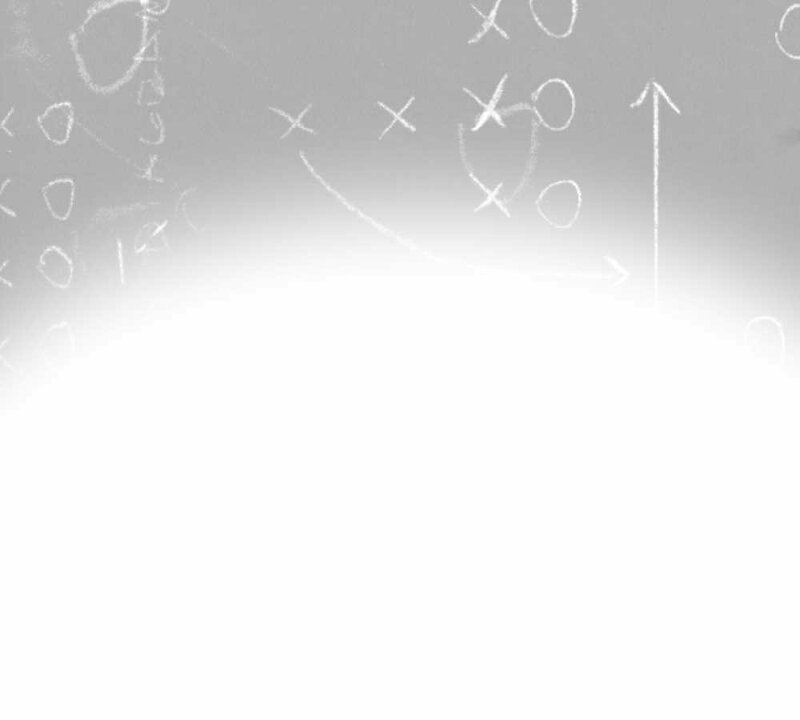 In addition, the Foundation's coaching education programs have improved the skills of more than 70,000 youth sports coaches, and have gone on to become models for similar programs nationwide. "As we near our thirtieth year of providing grants to youth sports organizations across Southern California, it's truly an honor to be selected as a winner for the Steve Patterson Award," said LA84 Foundation President Anita L. DeFrantz. "The programs that we support play a vital role in keeping our youth active and healthy, which is key to building strong and safe communities." "The winners that were announced today prove that there is still so much good in sports," said Carlette Patterson, Steve's widow and president of Patterson Sports Ventures. "Steve's passion for improving the health and wellness of his communities knew no borders. And the three winners today embody his same tireless dedication and hard work to make a difference in the quality of life of their respective communities locally and nationally." 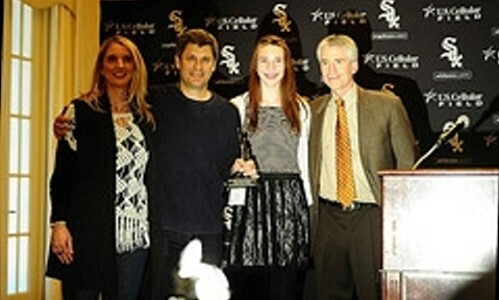 The Chicago White Sox established the first of its kind White Sox Volunteer Corps, which brings together thousands of fans, players, coaches, and club executives to assist underserved Chicago neighborhoods through volunteer work. Since it was founded in 2009, the Corps has logged more than 17,000 hours of service, including participating in blood drives that have helped save up to 1,200 lives; repacking more than 150,000 pounds of food that has fed approximately 40,000 hungry families and individuals in Chicago; and taking part in renovation and beautification projects for Chicago public schools and Boys & Girls Club locations. Several other teams in Major League Baseball and the National Football League have replicated the Corps model. "The White Sox have operated under the principle that professional sports teams have a responsibility to give back to their communities," said Jerry Reinsdorf, Chairman of the Chicago White Sox. "We are honored to be recognized for our work in this area and will continue to galvanize our fans and other supporters to be local changemakers through their community service." To read the MLB.com article, please click here. 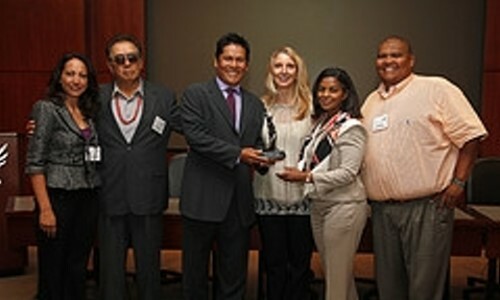 Notah Begay III, the only full-blooded Native American to play on the PGA Tour, founded the Notah Begay III Foundation (NB3) to address the epidemics of childhood obesity and type 2 diabetes impacting Native American children, physical fitness, nutritional, and other health needs that are particular to the Native American community. The Foundation approaches the childhood obesity and diabetes epidemics in Native communities by creating sports, nutritional, health, and community development programming that incorporates local cultures and traditions and by empowering tribal leaders to take action. In 2010, the Johns Hopkins Center for American Indian Health conducted two consecutive evaluations of NB3's San Felipe Pueblo soccer program. They found that the program significantly impacts the physical fitness of Native American children. The organization also works to call national attention to the health needs of Native American children, who receive less than 1 percent of philanthropy foundation funding. "I'm thankful that I can use my public platform to raise more awareness of Native American health issues and the need to address them," says Notah Begay III, four-time PGA Tour winner and founder of the NB3 Foundation. "Sports can play a transformative role in the life of a young person, and we're pleased that this award will help highlight our mission to fight childhood obesity and type 2 diabetes." Since 1984, the Foundation has awarded more than 1,250 grants and $1.4 million through the Travel & Training Fund to help cover the expenses of talented amateur athletes as they advance to the highest competition levels in their athletic fields. The Foundation's GoGirlGo! program provides girls in underserved communities with access to physical activity programs as well as teaches community leaders, volunteers, and coaches how to sustain local initiatives. 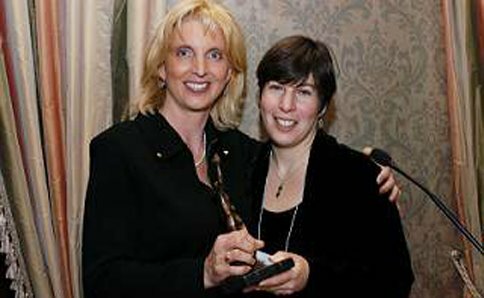 In 2011, the Foundation launched a research partnership with the University of Michigan to create the first-ever Sports, Health and Activity Research and Policy Center for Girls (SHARP). Building on more than 25 years of the Foundation's research leadership understanding barriers and opportunities to get more women and girls active, the SHARP collaborative will further inform WSF's outreach, programmatic, and advocacy efforts. 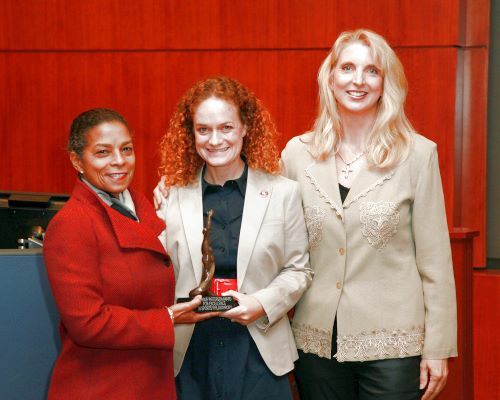 "The 40th anniversary of Title IX and the outstanding achievements of our female athletes in the Summer Olympics elevate the platform for supporting women and girls through sports," expressed Kathryn Olson, CEO of the Women's Sports Foundation. "Intersected with the health and social issues we face among youth, in underserved communities, and in particular for girls, the platform carries even greater significance for the work of the Women's Sports Foundation. 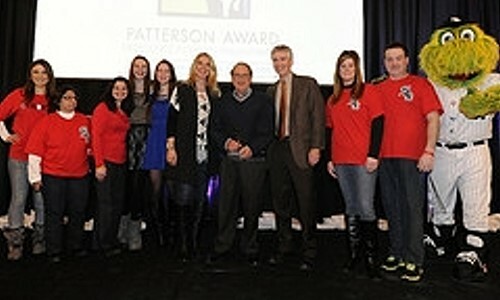 The Patterson Award speaks to our collective achievements, and we are grateful for that recognition." 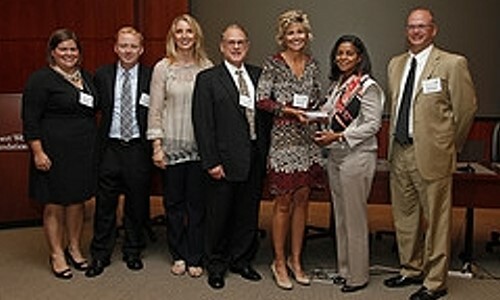 The Cincinnati Reds Community Fund will be honored with the 2011 Patterson Award for Excellence in Sports Philanthropy, presented each year by the Robert Wood Johnson Foundation (RWJF). The award celebrates and promotes the selfless service of people within the world of sports whose passionate efforts make a difference in the lives around them. The Reds are being recognized in particular for their Match program, which brings youth baseball teams from the suburbs and the inner city together in the spirit of diversity, interaction and friendly competition. "This is an incredible honor for the Reds Community Fund and a testament to our ownership, management, board and staff," said Community Fund executive director Charley Frank. "In just a decade, we have created unique programs that improve the lives of youth through baseball and softball. We're proud of the fact that we've reconnected countless teams, coaches, kids and neighborhoods from all across the region to the game of baseball and the Reds franchise." 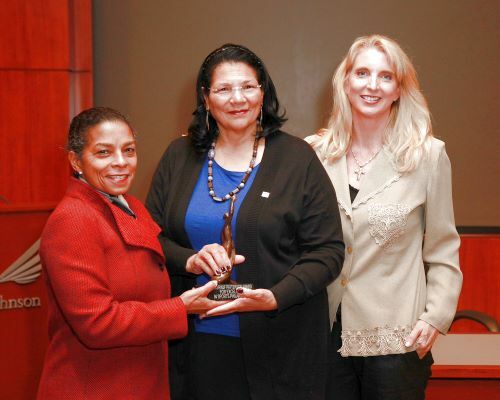 RWJF � the nation's largest health care foundation � will present the award to the Reds Community Fund on the evening of September 27th at the end of the year banquet for the Match program at the National Underground Railroad Freedom Center in Cincinnati. 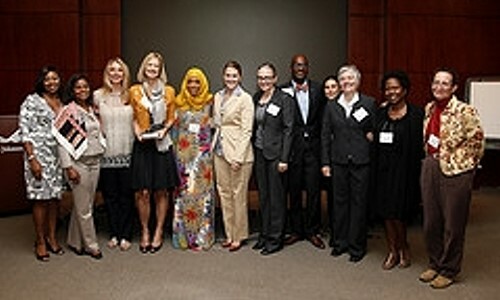 "We are delighted to recognize the Cincinnati Reds Community Fund with this year' Patterson Award, as their innovative approach to sports philanthropy offers an excellent model for other sports teams looking to make an impact in their communities," said Fred Mann, vice president of communications at RWJF. "All sports teams have opportunities to make unique, positive contributions in their community, and the Reds should be commended for doing just that." 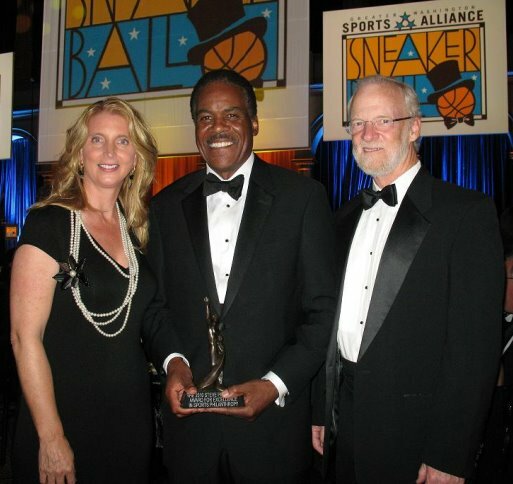 The Patterson Award for Excellence in Sports Philanthropy was established to honor the legacy of former NBA and UCLA star Steve Patterson, who was renowned as much for his work off the court as he was for his work on it. "Steve's giving heart, unifying leadership, and dedication to improving the lives of others serve as an example for all people in sports," said Carlette Patterson, Steve's widow. "It is only appropriate that the Reds Community Fund be recognized for the example they are setting for other sports teams." Cincinnati is now home to two Patterson Award winners, with the Reds Community Fund joining the Marvin Lewis Community Fund (which won the award in 2009). The Reds Community Fund invests close to $1.5 million annually in six primary outreach initiatives: the Reds Rookie Success League; Youth Baseball Funding; Field Renovations; Major League Baseball's RBI (Reviving Baseball in Inner Cities) program; the Coldwell Banker West Shell Match program and the new Reds Urban Youth Academy. 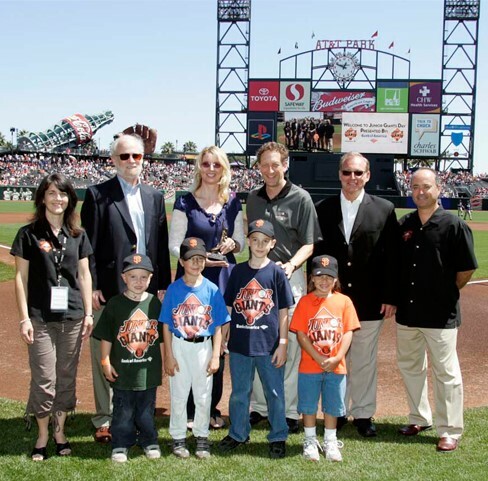 Founded in 2001, the Community Fund focuses exclusively on baseball and softball-themed programs. The RCF supports more than 325 youth baseball and softball teams annually, has renovated more than 300 baseball fields since 2006 and reaches more than 35,000 children and coaches. Each initiative is tied to the mission created by Reds ownership and management which is to help more kids play baseball across Reds Country. Former NFL quarterback Brian Griese has been awarded the 2011 Patterson Award for Excellence in Sports Philanthropy, presented each year by the Robert Wood Johnson Foundation (RWJF). The award celebrates and promotes the selfless service of people within the world of sports whose passionate efforts make a difference in the lives around them. Griese, who currently works as a broadcaster for ESPN and KOA-AM in Denver, is being recognized for his work with Judi's House, a comprehensive grief care center he founded in Denver for children dealing with the loss of a loved one. Griese founded Judi's House in 2002 in memory of his mother who died when he was 12 years old. The center helps grieving children and families by offering grief counseling and peer support groups to share the experience of loss with others. Judi's House increases awareness and knowledge of grieving children's needs by extending grief support services to schools, community based organizations, faithbased groups, hospices, and other caregivers in the community. Judi's House has served more than 4,000 children and their adult caregivers from the Denver area since opening. "I'm honored to receive this recognition in memory of my late mother and on behalf of everyone who works so hard to make Judi's House a place where no child has to feel alone in grief," said Griese. "I am proud of the unique community we have created here. With the hard work of the staff at Judi's House along with the amazing kids and caregivers that we work with, we are able to take a potentially devastating event in a child's life and help give them a place where they can find support and solace." RWJF�the nation's largest health care foundation�will present the award to Griese on the evening of October 19 at Judi's House's annual Oktoberfest Garden Party. "It was a no brainer to name Brian Griese this year's Patterson Award winner. The impact he has been able to make in the Denver area offers an excellent model for other athletes looking to affect positive change in the communities in which they live, work and play," said Fred Mann, vice president of communications at RWJF. "All athletes, both active and retired, have an opportunity to make unique, positive contributions and Brian is a shining example of doing just that." "Steve's giving heart, unifying leadership, and dedication to improving the lives of others serve as an example for all people in sports," said Carlette Patterson, Steve's widow. "Brian's work with Judi's house exemplifies all of what Steve stood for and it is only appropriate that he receives this recognition. He sets an incredible example for all current and former athletes." Griese is the first current or former NFL player to be recognized with the Patterson Award. 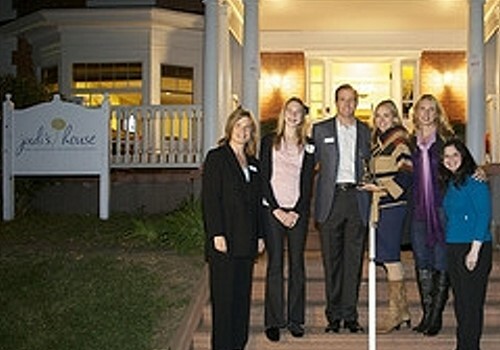 Judi's House was founded by Brian Griese in honor and in memory of his mother who died when he was 12 years old. The vision of Judi's House is a community in which no child has to feel alone in grief. The mission of Judi's House is to help children and families who are grieving the death of a loved one find hope and healing within themselves. At Judi's House, an environment of acceptance and understanding allows children and adults in peer support groups to share the experience of loss with others. Judi's House increases awareness and knowledge of grieving children's needs by extending grief support services to schools, faith-based groups, hospices, and other caregivers in the community. Judi's House is located in Denver, Colo., and more than 4,000 children and their adult caregivers from the metro area have participated in its programs since it opened its doors in 2002. The U.S. Soccer Foundation is the major charitable arm of soccer in the United States. Established in 1994, the Foundation has distributed more than $51 million to groups across the country, supporting the development of 1,100 fields and reaching more than 4.9 million total players. The Foundation uses soccer as a tool for social change and, in doing so, focuses its efforts on supporting programs and field-building projects that improve the health and well-being of children. Its Soccer for Success program provides free after-school soccer programming for at-risk, urban youth in grades K�8, offering a safe environment to exercise, work with mentors, and develop important life skills. The U.S. Soccer Foundation's Passback Program is a community service initiative that collects and distributes new and gently used soccer equipment, providing children and organizations across the globe with a chance to play and learn the game. To build upon these efforts, the U.S. Soccer Foundation holds a series of free soccer clinics across the U.S. and is partnering with the National Alliance for Hispanic Health to provide free family health screenings at each Tour stop. The Foundation also organizes an annual Urban Soccer Symposium � a national event designed to help develop new programs and strengthen existing organizations committed to using soccer as a tool for positive youth development in under-resourced communities. By supporting the development of safe playing fields and offering soccer programs that provide participants with mentoring, tutoring, and nutritional guidance, the U.S. Soccer Foundation is working to ensure that children develop not only as athletes, but as people. More than $24 million dollars has been distributed since the Dikembe Mutombo Foundation was formed in 1997. Mutombo is a humanitarian who is committed to improving the quality of life for people in his native Democratic Republic of the Congo. After playing basketball at Georgetown University, he played 18 seasons in the NBA and was Defensive Player of the Year four times before retiring in 2009. Giving back to his homeland remains a huge priority for Mutombo. In 2007, the Foundation opened the Biamba Marie Mutombo hospital in the Congo. It is a state-of-the-art complex that has brought modern medicine to the undeveloped area where he grew up. The hospital has a staff of over 400 employees and provides care to close to 20,000 patients of all ages each year. 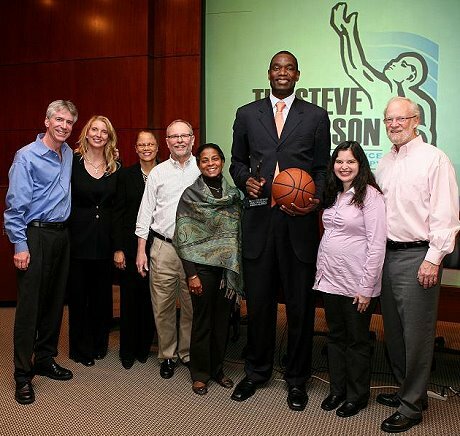 Mutombo's efforts as the NBA Global Ambassador, board member for UNICEF and the National Constitution Center and former spokesman for the international relief agency CARE have earned him numerous accolades. Mutombo has been the recipient of the President's Service Award, J. Walter Kennedy Citizenship Award, and the National Civil Rights Museum Sports Legacy Award; he has also been inducted into the World Sports Humanitarian Hall of Fame. The Marvin Lewis Community Fund was honored during a pre-game presentation on the field prior to the Cincinnati Bengals pre-season game on August 27, 2009. Marvin Lewis, Cincinnati Bengals Head Coach and Carlette Patterson. 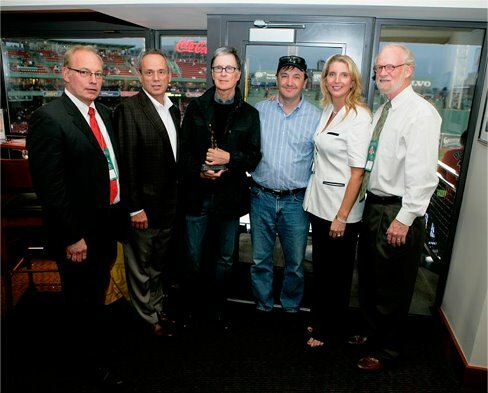 The Red Sox Foundation was awarded the 2009 Steve Patterson Award for Excellence in Sports Philanthropy during a pre-game reception at Fenway Park. (from left:) Greg Johnson, Executive Director, the Sports Philanthropy Project; Larry Lucchino, President/Chief Executive Officer, Boston Red Sox; John W. Henry, Principal Owner, Boston Red Sox; Mike Egan, Partner, Boston Red Sox; Carlette Patterson, President, Patterson Sport Ventures; and Fred Mann, Assistant Vice President of Communications, the Robert Wood Johnson Foundation. 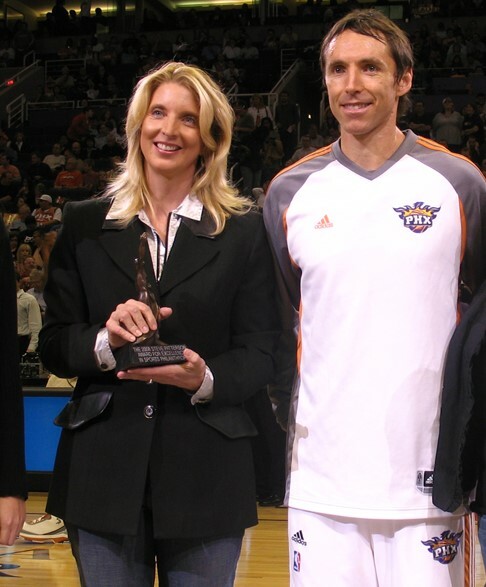 The Steve Nash Foundation was honored as the 2008 individual athlete award recipient during a November 20th on-court ceremony at U.S. Airways Center, home of the Phoenix Suns. Steve Nash, The Phoenix Suns and Carlette Patterson. 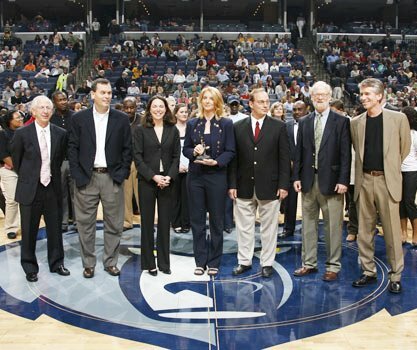 Center Court presentation to the Memphis Grizzlies Charitable Foundation on November 3rd. 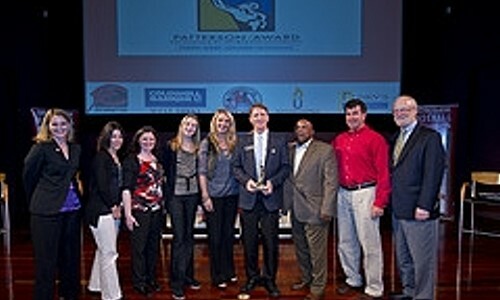 Front row, L-R: Grizzlies President of Business Operations Andy Dolich; Grizzlies local owner Staley Cates; Memphis Grizzlies Charitable Foundation Executive Director Jenny Turner-Koltnow; Carlette Patterson, CEO of Patterson Sports Ventures; SPP Executive Director Greg Johnson; RWJF Deputy Director of Communications Fred Mann; and RWKF Senior Communications Officer Joe Marx. Fred Mann, Carlette Patterson, Jamie Moyer and Greg Johnson during an on-field presentation to Jamie Moyer on behalf of the Moyer Foundation, in Philadelphia on August 27, 2007. 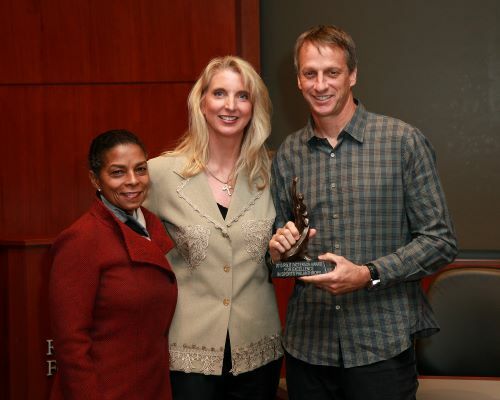 "We could not be more pleased to have received the Steve Patterson Sports Philanthropy Award. Receiving an award of this caliber is an important affirmation and incentive for us to continue our work to improve the lives of those most in need in our community here in Jacksonville. The spotlight that this award casts on our efforts will require and enable us to do even more, and for that we are grateful as well." 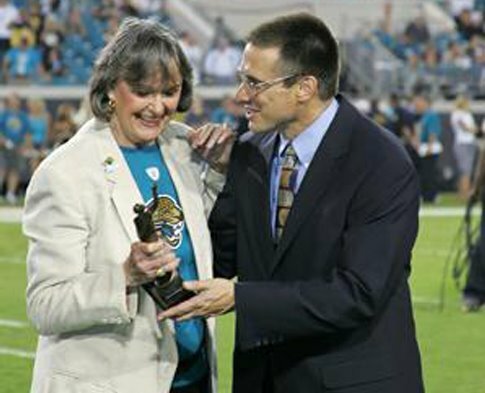 Delores Barr Weaver, co-owner of the Jacksonville Jaguars and Chair/CEO of the Jacksonville Jaguars Foundation and Peter Racine, Executive Director, Jacksonville Jaguars Foundation.